Merdeka Plaza shopping mall topped with Waterfront Hotel. Jalan Tun Abang Haji Openg looking from Padang Merdeka towards the river. 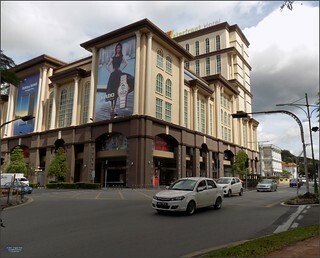 Kuching city. Sarawak state. Malaysia 2018.